. SPRING - SUMMER .
. - NEW YEAR　正月　- .
. Regional Festivals - LIST .
. - - - Japanese Festivals - ABC-LIST - - - . Since olden times, Shintoism and later Buddhism has left a deep impression on Japanese Culture. Most of the important Shinto and Buddhist festivals and customs are kigo for haiku too. 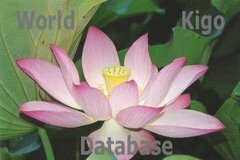 Here you find a long list of Buddhist and Shinto kigo and LINKS to detailed information of the World Kigo Database. All kigo listed here belong to the category "Observances, Seasonal Events (gyooji 行事)". Many kigo make reference to a temple or shrine. 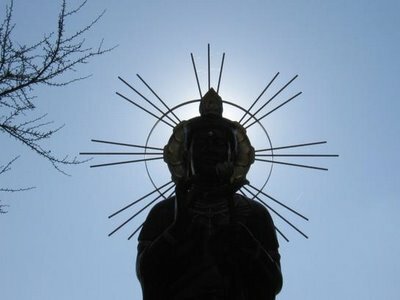 in Shintoism a - SHRINE - . to find a Keyword or Synonym in the following list. The Japanese name of a ceremony is usually given first. I hope to contribute a bit to the haiku world with this online saijiki. Some saijiki list a few of these ceremonies in the New Year season. and many more KIGO ! Donzuki matsuri　... どんずき祭 "Body throwing Festival", Donzukuri Festival. Niigata. .... One of the "naked men" festivals. Eyoo 会陽 Naked Festival. Third Sunday in February. Best known at Saidai-Ji, Okayama. Haru Matsuri .. 春祭り Spring Festival. General introduction. Hiburi 火振り祭 (ひぶりまつり) "fire-swinging festival"
Hote Matsuri 帆手祭 Sail-cord Festival. At Shiogama Shrine, Miyagi Pref. Kanshoku 寒食 (かんしょく) "cold food"
ganburo 雁風呂 がんぶろ "bath for the wild geese"
"festival of the fulfilled wish"
keitoo odori 鶏頭踊（けいとうおどり） "cockscomb dance"
One of the three famous prayer kyogen. Midori no Shuukan 緑の週間 Green Week. Saga no Hashira Taimatsu 嵯峨の柱炬 Fire Festival at Saga, Kyoto. Sengen Shrine (Asama jinja) in Shizuoka. Wakling though fire at Mt. Takao. Emperor's Birthday Emperor Akihito, December 23, 1933.
bulls fighting, ushi zumoo 牛角力. getting the bulls together, ushi awase 牛合わせ. kundoku e 訓読会（くんどくえ）"reading the last sutra"
. Cow nose ring ritual (hanaguri kuyoo はなぐり供養) Okayama.
. O no Mai (oo no mai　王の舞) dance of the king . This kind of Saijiki is surely very convenient for us. Thank you for your edition.